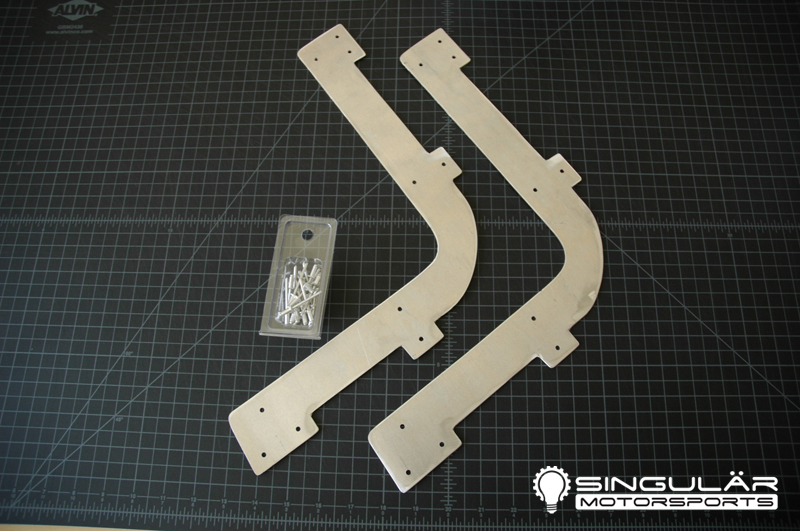 Singular Motorsports Headlight Lid Brackets for NAs - Miata Turbo Forum - Boost cars, acquire cats. This is one of those things I designed for my car, and I keep running into others who could really use it and ask me for a set. D. More lightweight bro! - save 20+ lbs on the nose of the car by removing the factory lights, flip-up motors, etc., use these brackets to fix the lids, and put new (lighter) lights in the parking light location. A $20 deposit is required to put your name on the list and the remaining total is due when the group buy closes. 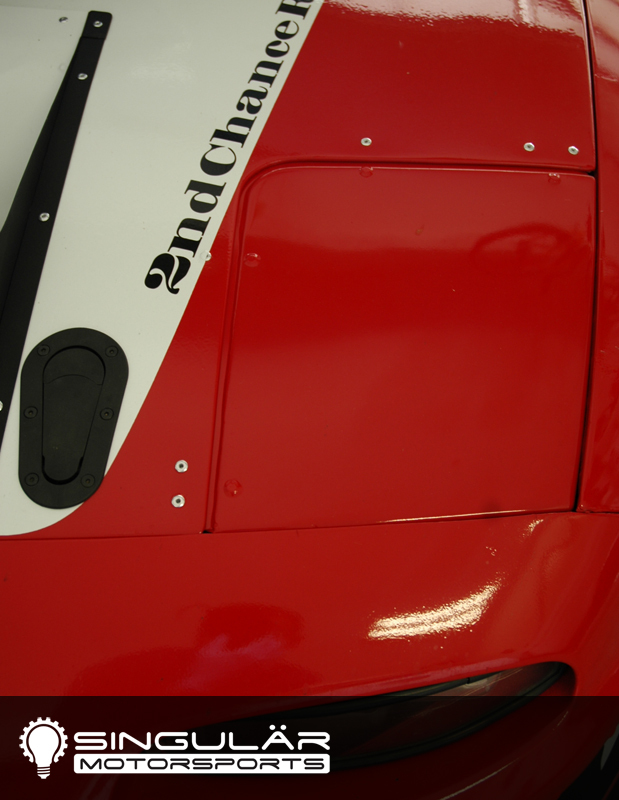 You can also use the brackets with your factory headlight lids, aftermarket carbon fiber lids, etc. 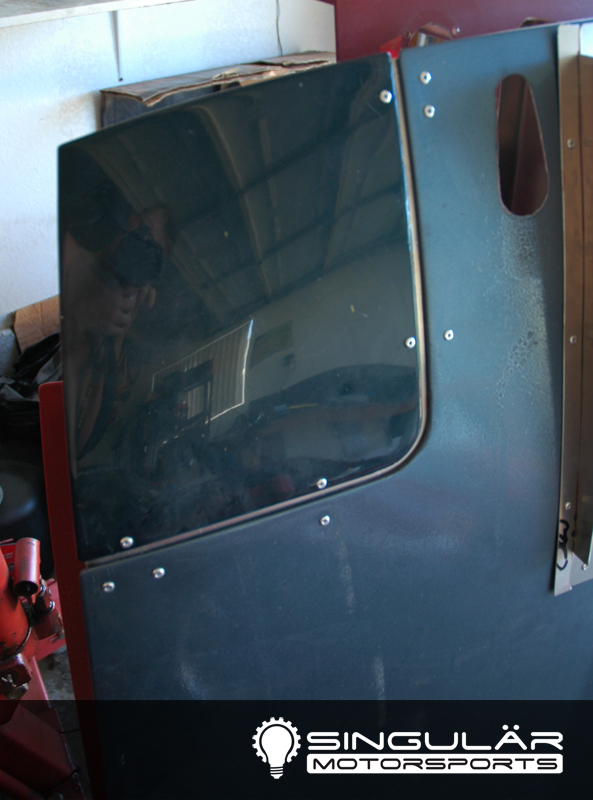 In fact, a gentleman in Hawaii has one of my pre-production sets and plans to use these as the mounting bracket for lexan covers for his flush mount headlights that he’s working on. 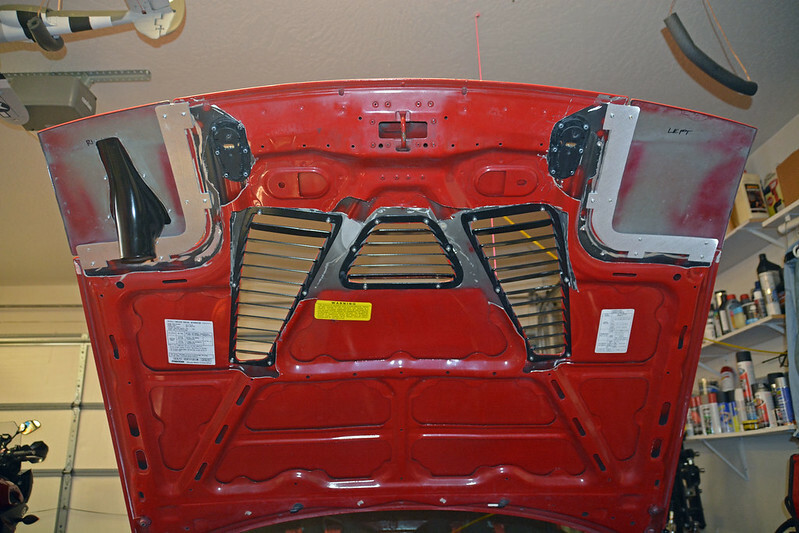 For the bracket to sit flush, you will need to cut a few slots out of the underhood bracing for the mounting tabs. A dremel or angle grinder works well for this part. The group buy will close on August 13th or when we hit the maximum, whichever comes first. I am going to be conservative on the shipping estimate. Tentative ship date September 1 I expect we can be much more efficient than that but this is my first group buy so expecting some learning curve before getting things streamlined. Feel free to share this on other forums or with friends who may be interested, we’re only vendors on MT, but more people finding out about this helps you get your set faster! Last edited by ThePass; 08-08-2014 at 01:58 PM. Last edited by Lincoln Logs; 08-14-2014 at 07:56 PM. These are certainly a niche item, not for everyone and their mother. I'm removing the minimum number for the group buy. Anyone who commits to a set will get them. This may be your only opportunity to get these! Not expecting to make more of these, this is your chance, get them now and store them for the future project! Group buy is closed! Thank you to everyone who got in on these. Those who have paid the deposit only, Sean will get with you via email or PM for the remaining balance. Headlight brackets shipped out today, 1 week ahead of schedule. Last edited by ThePass; 08-26-2014 at 03:11 AM. Damn! I know of someone who may want these :( Looks like a quality piece for sure. OK, I'm buying the headlight delete bracket. Thanks. Nice looking part. I've got LED's for in the park turn area. 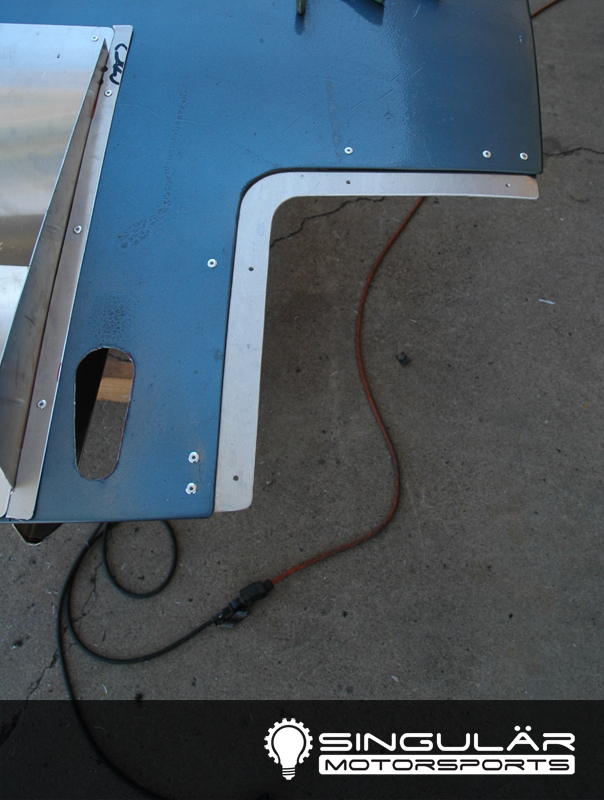 BUT, how do I get someone to make me the hood extractor from the picture above (blue hood, aluminum heat extractor vent). So very nice. I need it. Does it have to be fabricated in place? Can we have an image of the underside of an installed set please? I used the stock headlight doors for the moment... they're heavy. Will be changing to FRP or carbon if I don't replace the whole hood. One thing to note: the brackets will sit flush on the hood side, but not on the headlight door side. I used some aluminum washers between the bracket and headlight door so the rivets have a solid backing against which to pull. Thanks Roda ! How much trimming is involved for the actual lids? Can I just cut the large ears or does the smaller lip require cutting as well? You will need to grind down a good portion of the lip. Just cutting the mounting ears off didn't provide sufficient clearance for them to sit flush. Honestly, I would suggest having a set of FRP or carbon replacements in hand anyway. The stock pieces are heavy.... I plan to swap mine out, but was on a short timeline for an event next week.